Evoqua Water Technologies and Underwater Construction Corporation (UCC) have teamed up to deliver expert service to the water power industry. 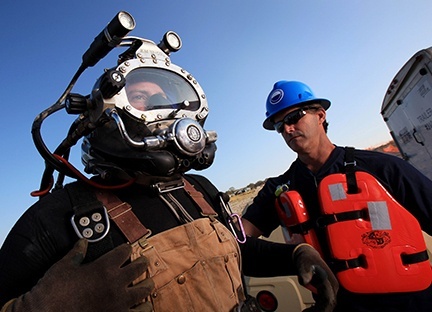 This alliance combines their core competencies to create the industry's best knowledge base: intake's deepest legacy in design and innovation unified with the industry’s premier inland commercial dive company. Evoqua’s innovative technology has served the industry for 143 years with their intake screening equipment leading the market. They design their equipment to meet the specific needs of their clients. With over 10,000 installations worldwide, their presence is unparalleled. Evoqua’s intake systems have defined the industry standard for equipment quality, cost-of-ownership, and clean, usable water. UCC employs more than 200 of the world’s highest certified divers. They have the expertise, resources, and flexibility to perform large turnkey projects or support small local tasks on a call-out basis. They strive to provide high-quality, cost-effective services that are consistent with their commitment to the safety of their employees and those of their clients. With over 50 years of experience in the commercial diving industry, their record speaks for itself. As the consumer, all the parts and services you need will now come from one team, working perfectly in sync. Evoqua often has the original specs, saving time and money on redesign, and UCC installs, repairs, or refurbishes your system to spec. Whether you run a nuclear power plant, a coal-fired plant or any facility that uses large volumes of raw water, this team can solve any intake issue.